In San Francisco, economic pressures have given rise to an informal system where commuters get into strangers’ cars to get to work every morning. It is efficient, inexpensive, interesting and surprisingly safe. 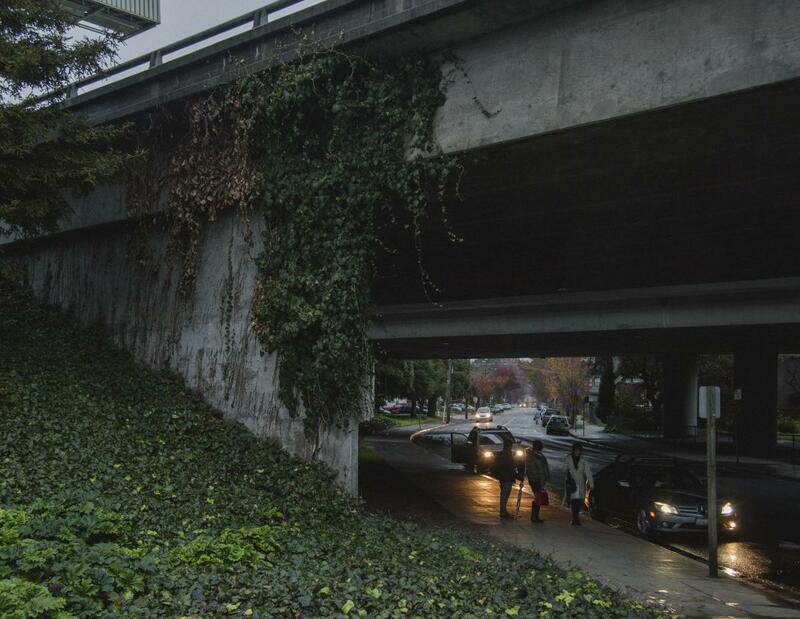 Every weekday morning, Joan Sautter, a 76-year-old California attorney who lives in Oakland and works in San Francisco, walks a block-and-a-half from her apartment to join a line of people waiting quietly under a busy highway overpass. Most mornings, she brings the day’s newspaper to pass the time. When Sautter gets to the front of the line, she and whoever is next in the queue step into a stranger’s automobile idling at the kerb. The driver and two riders—sometimes three if the line of riders is long and the line of cars is short—wish each other good morning, fasten their seat belts, and pull away from the kerb. The car’s radio is often tuned to public radio, the volume low. They merge onto the highway. Twenty minutes later, the car is in San Francisco, pulled over at a busy intersection in the Financial District. Sautter thanks the driver and walks to her office. She has been commuting this way for 30 years. She is a casual carpooler. The Bay Area phenomenon known as casual carpool is similar to traditional carpooling in many ways. A carpool is regular ridesharing in which the members carefully plan their schedules and routes to accommodate everyone’s needs. Casual carpool is ridesharing without any prearrangement between the driver and riders. During morning commute hours, riders and drivers simply line up at predetermined meeting places and create spontaneous carpools. They have made no ongoing commitment. They use no specialised technology. There are ten casual carpool pick-up spots in Oakland, 15 more in surrounding towns. Sautter’s spot, in Oakland’s affluent Rockridge neighbourhood, is one of the most active. Specific factors in the Bay Area’s situation—a large number of commuters, a traffic bottleneck, time pressures, financial incentives, and perhaps a certain openness towards the new and unusual—have made casual carpool an effective transportation system for over three decades. There aren’t many ways to get from Oakland to San Francisco. The two cities are separated by the San Francisco Bay, 6 miles (9.7 km) of water. This means that Sautter and the other 600,000 daily commuters crossing the Bay from the east, where Oakland and numerous residential suburbs are located, have three options: they can go over the water in a ferry, under the water via BART (the Bay Area Rapid Transit system) and its Transbay Tube, or above the water across the Bay Bridge. The ferry is the oldest and most stylish way to cross the Bay, but it is too expensive, limited, and sluggish for most modern commuters. BART, which moves 150,000 commuters across the Bay every morning, is efficient but crushingly crowded. The third option, the Bay Bridge, is the only bridge linking San Francisco and the East Bay. The San Francisco–Oakland Bay Bridge’s five westbound and five eastbound lanes carry more than a quarter of a million vehicles daily, moving more people than any highway in California. All westbound vehicles pay a toll to cross the bridge. 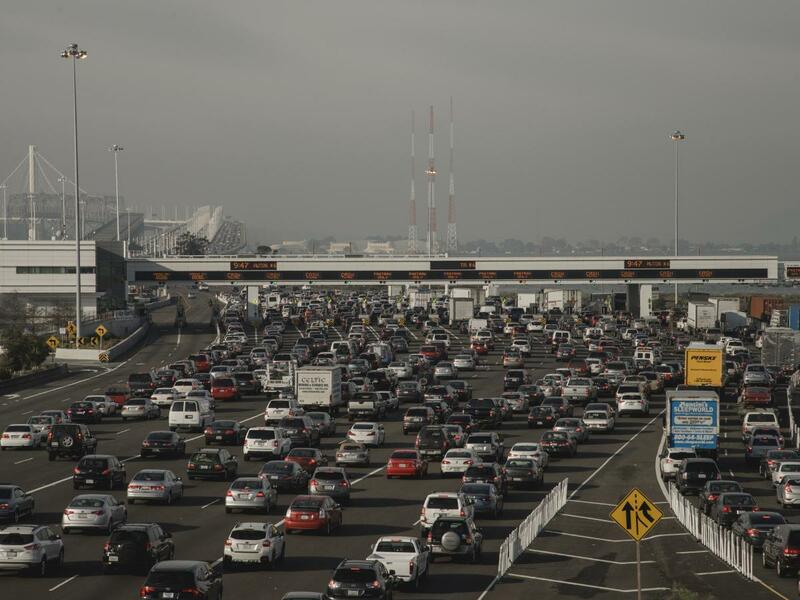 The bridge approach, where several East Bay highways feed into the toll plaza, and metering lights control the volume of vehicles on the bridge, is a massive chokepoint for the 40,000 vehicles that converge there every morning. To combat this congestion HOV (High Occupancy Vehicle) bypass elements were incorporated into the westbound bridge approach in 1970. Today these protected lanes enable buses and other vehicles with multiple passengers to bypass long lines at the toll plaza, saving up to 30 minutes of commuting time, not to mention more than half the regular toll fee. These changes strongly encouraged commuters to carpool, and soon after they took effect there were sporadic reports of drivers cruising AC Transit’s Transbay bus stops for enough riders to make a carpool. Tom Vitek vividly remembers when those occasional pick-ups started to become commonplace. 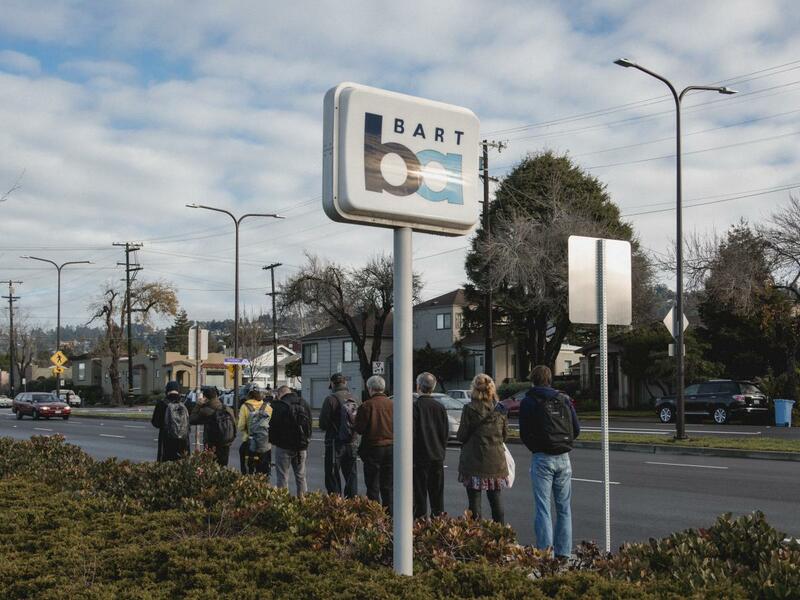 ‘In the winter of 1979, there were simultaneous strikes on BART and AC Transit, which brought transit across the Bay to a complete halt.’ Desperate to find a way across, Vitek went to his usual bus stop, and ‘sure enough, there was a line of drivers waiting to pick up passengers.’ Both strikes were eventually resolved, but ‘the aftermath was that a kind of system evolved of people who were used to offering rides to passengers and passengers who were used to taking rides from drivers.’ This system became known as casual carpool, and today, an estimated 10,000 people use it every day. People who are curious about casual carpool often find their way to an idiosyncratic webpage called ‘Casual Car Pool News’. A blend of official and unofficial information, the page includes a Google map of all pick-up sites (‘Thanks to Amory Schlender for putting it together!’) and a detailed explanation of the informal rules and etiquette of casual carpool. Its Lost and Found section (recent items: purple, handmade crocheted hat; black iPhone 5) is a broad sampling of material culture in the Bay Area. The discussion board on the site has thousands of comments, questions, and harangues. Emails to the page’s webmaster produce the following automated warning: ‘Please note: I will not answer questions already on FAQ, especially “Is there a casual carpool location at ____?” and “Can you start a new location at ____?” Sorry; it’s just been too much, lately. – Dan’. The Dan behind Casual Car Pool News is Dan Kirshner. Kirshner built the page when he was working as an economic analyst for the Environmental Defense Fund, which seeks to apply economic rationality to environmental problems. During his 26-year career there, Kirshner became obsessed with the promise of dynamic ridesharing, technologically enabled, on-demand carpooling. He viewed it as the economically rational answer to the problem of road congestion. Casual carpool is one of the few success stories of dynamic ridesharing. Kirshner studied it closely, asking, ‘Can you rationalise this? Can you make it work in more than just a spontaneous, organic way?’ For years, Kirshner poured himself into building a viable dynamic ridesharing platform, but he failed to create the conditions that would motivate enough participation to achieve critical mass. There is a host of technologies that strive to facilitate on-demand use and sharing of cars, but it is the completely uncoordinated and no-tech casual carpool that brings clear benefits to participants, saving them time and money. Every casual carpooler has stories from the carpool. With different drivers, different riders, different cars, and different conditions, no two trips are the same. Many carpoolers seem to get a charge out of these random, short-lived social interactions. According to Casual Car Pool News, Sweetser’s driver was right: only the driver should initiate conversation. The conversation rule establishes basic social norms for the carpool, as do rules prohibiting riders from consuming food and drink and drivers from playing loud music. Other rules focus on safety: cars should have functioning seat belts, which riders should use; drivers should drive cautiously and avoid using their phones. These rules don’t eliminate the awkwardness of riding with strangers; they harness it to support a system where the driver is in control, and the riders are protected. This can be a delicate balance, especially if drivers feel they are being taken advantage of. Another important rule of the carpool is that carpoolers have the right to refuse any driver or rider. Riders can choose to wait for the next car, and drivers can take the next passenger in line. Like a pre-technological version of Uber’s rating system, the refusal rule enables the casual carpool community to police itself, to shun drivers and riders who do not fit in or who misbehave. In 35 years of riding casual carpool, Vitek’s most memorable driver was ‘the man who drove with no hands’. The driver had a bowl of cereal on his dashboard and a thermos of coffee hanging from his window frame. He ate his breakfast all the way across the bridge, rarely putting his hands on the wheel. Vitek and his fellow rider were terrified. The next morning, when the same driver showed up at the carpool, people in the rider line began shouting warnings to each other: ‘Don’t get in the car with that guy!’ and ‘He’s crazy!’ No one would get in the man’s car, and he eventually drove off without passengers. Occasionally, riders police other riders. Vitek remembers a young African American rider who was often ‘unshaven and looked like he’d just gotten out of bed.’ When the man got to the front of the line, female drivers would not only pass him over, they’d take off. One of the riders confronted the man, accusing him of scaring away drivers, and warning that, ‘You should get a bit better groomed and better dressed when you come to the casual carpool.’ The man protested. His job as a parking attendant didn’t require professional attire. A recent government report on casual carpool noted that ‘participants share an attitude of literally watching over each other’. The casual carpool community self-regulates through collective monitoring, a powerful means of neutralising many threats, but a poor means of protecting those whose only threat is their difference. 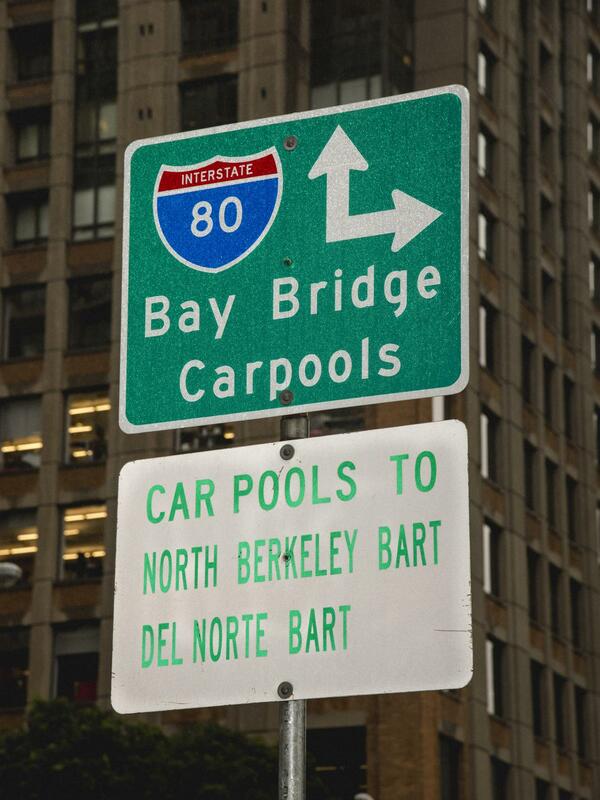 Many Bay Area casual carpoolers believe there is something unique about the ethos of the Bay that makes casual carpool successful here. Fishman says, ‘When New Yorkers hear about this, they say there’s no way. You’ve got to be crazy to let strangers into your car.’ Vitek echoes this: ‘I’m not sure you could do casual carpool in Cleveland, where I’m from. I’m not sure if the community is as open or as trusting of diversity and newcomers.’ But Lynne Wander, who has been riding casual carpool for a few years, questions the belief that casual carpool exists because there is something unique about Bay Area culture and society. ‘It would be nice to think it works because we’re so open to new things in the Bay Area. There’s a lot of self-congratulation about this here, but I don’t think we’re fundamentally different culturally than everywhere else.’ Wander named cities like Portland, Oregon, and Austin, Texas, as culturally similar but lacking other incentives to carpool. Besides the Bay Area, two other American cities have casual carpool systems: Washington, DC and Houston, Texas. In many ways, Washington and Houston couldn’t be more different from the Bay. Houston’s culture is conservative and fiercely individualistic. Washington’s is formal and driven. Yet all three regions share environmental and systemic factors like a dispersed workforce requiring long, congested commutes, toll savings for carpools, and HOV lanes that provide enough of a time and cost saving to foster the emergence of casual carpools. Houston’s casual carpool system, known as ‘slugging’, formed along two major corridors, the Katy Freeway and the Northwest Freeway. Recent changes to the Katy Freeway, however, have revealed casual carpool’s fragility. When the Texas Department of Transportation added lanes to the freeway and opened the HOV lane to toll-paying single-occupant vehicles it reduced congestion in general-purpose lanes and reduced the incentive to carpool for access to the HOV lane. Since then, Houston’s casual carpooling activity has dropped by 50%. Pickavance has a terrifying carpool story. In September 2013, riders waiting at a Rockridge pick-up spot were robbed at gunpoint. She was there. Three hooded men approached the line, pulled out guns, and started robbing riders of their smartphones and valuables. Pickavance was able to run away, but she had no idea what to do next. ‘I was probably slinking around for maybe ten minutes, and then I kind of slinked back to see what was happening and just got in a car and left. I really did not know what else to do with myself.’ She continues to be a loyal carpooler, but feels less safe in Oakland. Michelle Hernandez drives casual carpool because it’s the fastest, cheapest way to get to her job as a payroll manager at a brewery in San Francisco. She also supplements her income by driving for Uber. For Hernandez, casual carpool feels like a ‘community-based transaction, almost like bartering’. When she’s driving for Uber, her riders are much more like clients, and the power dynamic between her and her riders is different: ‘There’s definitely more of a feeling that they’re in control, rather than me being in control.’ Lately, Hernandez has been trying out a third option, driving for a TNC called Carma. 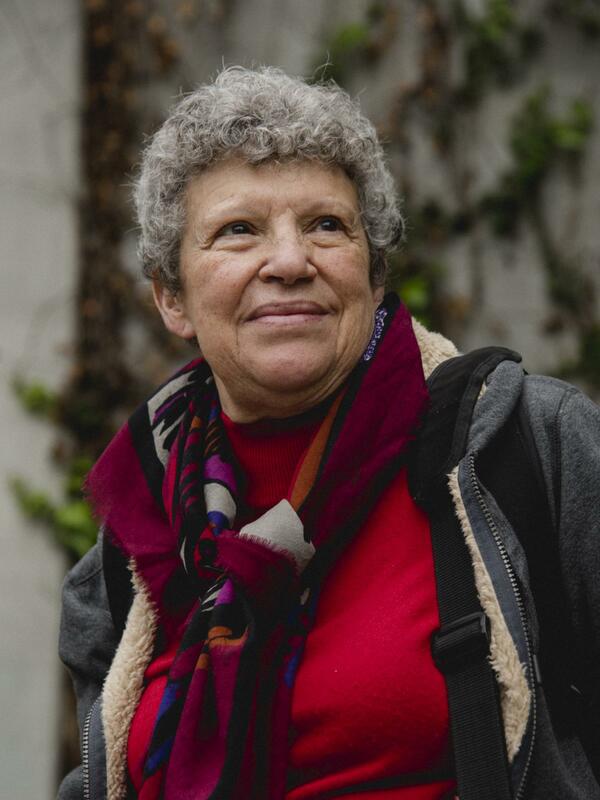 Joan Sautter, a 76-year-old attorney who lives in the Rockridge neighbourhood of Oakland, has been using casual carpool for the past 30 years. Every weekday she walks a block and a half from her apartment to a pick-up spot to wait in line for a stranger to drive her to San Francisco’s Financial District 20 minutes across the Bay. For Sautter, it is the fastest and cheapest way to commute to work. Steinberg is a TNC entrepreneur, but he and his colleagues don’t believe that TNCs are the future of transportation. Carma is betting that owners of fleets of vehicles, like car rental companies, are more likely to succeed than networks of owner-operated vehicles, like Uber. Fleet vehicle quality is more consistent, and fleet owners don’t lose any profit to driver compensation. To this end, Carma recently joined forces with City CarShare, a Bay Area not-for-profit carsharing organisation with a 400-car fleet. They are now experimenting with novel ways to increase the fleet’s productivity and motivate its users to carpool. But Steinberg’s story does not end there: ‘In ten years’ time, Muni (San Francisco’s transportation agency) is not going to be buying more buses. They’re going to be buying autonomous vehicles. Those are going to be the replacements for buses and taxis and cars.’ As Steinberg’s transportation narrative moves further into the future, today’s innovations start to feel puny. Bay Area transportation planners and advocates are also talking about the promise of autonomous vehicles. Clarrissa Cabansagan, a community planner at a Bay Area transportation advocacy organisation called TransForm, believes ‘we’re starting to see the demise of the auto industry’ as we know it. Like Steinberg, she can envision a world where autonomous vehicles provide transportation in a way that mass transit cannot. Today, she explains, ‘We’re in this interim phase of getting people into your car, getting strangers into your car.’ Cabansagan is optimistic about the future but cautious about foretelling it. Technology and behaviours are changing so rapidly that ‘the past couple of years have caused us to rethink our ways of predicting what happens’. For today, Cabansagan’s vision of the ideal morning commute conditions on the Bay Bridge is very concrete, even humble. ‘We want to make every day like Columbus Day.’ (Columbus Day is a minor federal holiday in the United States. Many banks and government offices close, but for most people, it’s just another day.) On Columbus Day, there is a 5% drop in drivers. That small shift in the volume of cars results in 80–95% congestion relief. 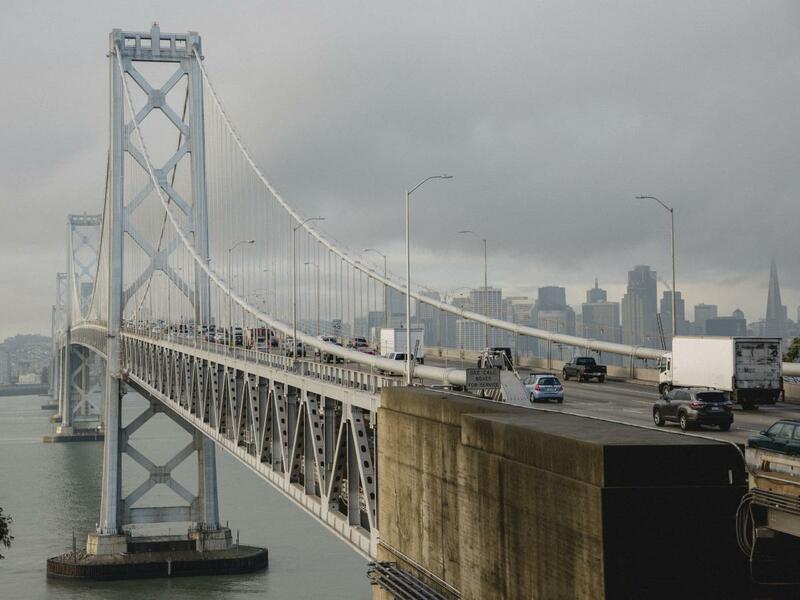 On a normal workday, two-thirds of bridge commuters drive alone. If just a fraction of them were to carpool, it would be Cabansagan’s Columbus Day. She believes that transportation planners often have a blind spot about Americans’ attachment to their cars, and that rather than ignoring it, they should focus on finding novel ways to fill seats in those cars. Casual carpool is the original novel solution. Carpooling is often called the invisible mode, because it is impossible to monitor or measure. Casual carpooling is even further below the radar. On the one hand, it seems to function under conditions so specific that it could vanish in an instant. Yet it is hardy, outlasting any number of well-funded technological ventures that lacked its essential elegance. Only if casual carpool were to disappear would its true impact finally be felt, in intolerable congestion along the Bay Bridge corridor, snaking lines at the bus stops, even more crowded commutes on BART, and the loss of a unique part of Bay Area culture. Rachel Berger is a graphic designer in Oakland. She rode casual carpool to get to her last job, but now, with a heavy heart, rides BART. Damien Maloney is a photographer living in the San Francisco Bay Area. He never used casual carpool before this assignment, but now picks up passengers on the commute over the Bay Bridge. This article comes from Works That Work magazine, No.7.